Create Your Educator List Now! Get building today! We're starting you off with 100 free credits. Which educators do you want in your list? As you select from our precision criteria, ConnectED Data shows live counts, so you can build your best school and teacher audience within your budget. Sign up to see all the criteria available. Highlights include institution types, school demographics, geography and educator job titles. 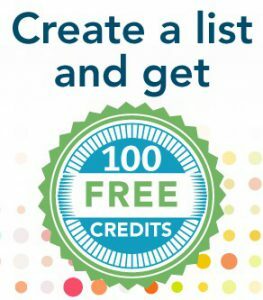 Once you've built your educator list to the size you need, you can buy or redeem the required credits for immediate download. A fresh educator list is critical for better results, so we'll notify you each time your list has an update with changed, deleted, or new records. No more worries about stale data. This self service tool makes it easy to create school and teacher lists in your own time and within your own budget. When you click this button you'll be directed to our ConnectED Data signup page. Data is important to us...we won't share yours!